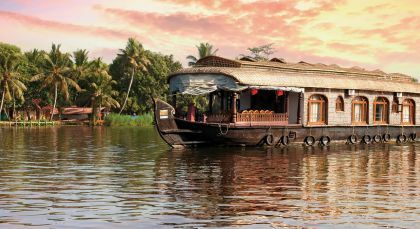 Embark on a fascinating discovery tour of South India. Begin at bustling Bangalore and make your way southwards, where beautiful monuments erected by mighty rulers tell tales of a glorious past in Mysore. In Wayanad, gently meandering paths A picturesque old town awaits you in Cochin while the wildlife reserve of Bandipur and tranquil backwaters of Neeleshwar impress with their variety of flora, fauna and serene ambiance. This is South Indian splendor at its finest! 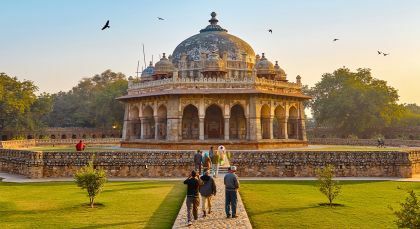 Whether you want a whirlwind tour or wish to enjoy an in-depth experience of Delhi’s numerous sights, the choice is yours on this full day tour! Discover the Old Town with its bustling markets, including Chandni Chowk, once the grandest Indian market. Head to the imposing Red Fort and onto India’s largest mosque, the Jama Masjid, beautifully decorated with paintings, inlaid stones, carvings and glazed tiles. Feast at the colorful, open-air food and craft bazaar of Dilli Haat. Visit Laxminarayan Temple, built in honor of the Hindu goddess of wealth, and its beautiful gardens. Discover the UNESCO World heritage site Humayun’s Tomb, a monumental landmark in Indo-Islamic architecture with its perfect synthesis of Persian architecture and Indian traditions. Enjoy the calm serenity of the Gurudwara Bangla Sahib. Visit this Sikh Gurudwara and witness the Langar (free kitchen), where everyone is welcomed and fed a vegetarian meal, irrespective of color, cast, creed, age or gender. Ooty: Queen of hillstations Ooty is known for its beautiful botanical gardens with rows of fragrant flowers, exotic plants and rare flora. 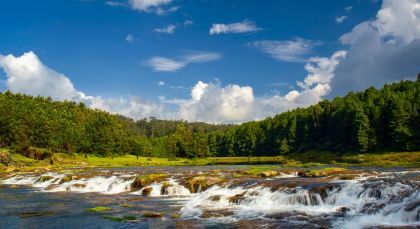 Visit the famous Botanical Gardens, home to over 650 species of plants and trees; go boating and even enjoy a round of fishing on the Ooty Lake; experience one of Ooty’s best vantage points – the Dobabetta Peak. Ooty is ‘Queen of the Hill Stations’, while Coonoor is ‘Princess of the Hill Stations’. Experience a scenic ride on Tamil Nadus’ UNESCO World Heritage Nilgiri Mountain Railways’ ‘Toy Train’ (an ‘X’ Class steam locomotive, made in Switzerland); travel at a maximum speed of 33 kph, over a 46 km (28.5 m) long track, chugging across plains, world famous tea plantations, pine trees, forest-clad hills; through 16 tunnels, 26 viaducts and tall girder bridges. Try picking flowers through open windows! Located in the southern part of Karnataka, Bandipur National Park is one of India’s oldest and best known Tiger Reserves. Explore Bandipur National Park, where the celebrated Indian Tiger is best seen – with morning and afternoon safaris. Wayanad is your natural mountainous paradise where you can experience an earthy hospitality. 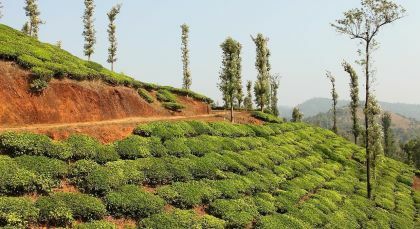 Meander by the verdant hills of Kerala and breathe in the fresh, air. Commune with nature, walk through the remote jungle and enjoy a short and exciting trek through the many trails that criss-cross beautiful Wayanad. Your visit will take you through tea, cocoa, vanilla and spice plantations, where you will learn more about the different plants and their cultivation. Stop to admire the landscape from various picturesque spots and enjoy your time soaking in the invigorating environs, which are unspoiled and strikingly remote. Embark on a half day cycling activity to discover Wayanad. A series of 10-15 km trails lets you explore a slice of the cultural hotspots of Southern Wayanad, the more genteel and settled areas of this district. Journey through the shimmering green landscape, with one of the trails leading to the expansive blue water body at the Karapuzha lake. 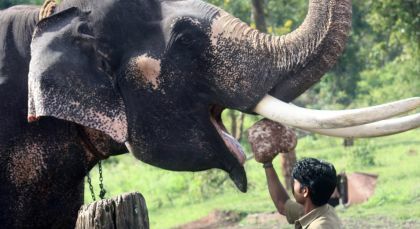 Stop at many points of interest along the way – small yet renowned temples, an NGO supporting hundreds of local women, a biodiversity research station and a tribal hamlet. Enjoy the many chances to interact with the local people and savor traditional delicacies along the way. Neeleshwar: Refreshingly different! Behind luxuriant coconut groves and paddy fields lies another Kerala, where a variety of festivals and rituals that bring the human world into harmony with itself and the Divine exist. Enchanting Travels guarantee you have a pre-booked luggage facility so that you can carry ​up to an extra​15 kgs on all your domestic flights,. This ensures there is no discrepancy between your international and domestic flight allowance, giving you a smoother and hassle-free journey. 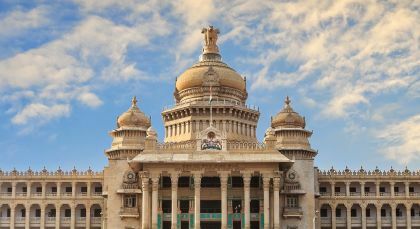 Bengaluru, India’s answer to Silicon Valley, was ranked third in 2012 amongst the list of world’s top ten cities to visit by Lonely Planet! Formerly a ‘pensioners paradise’, the bustling city sits high above sea-level, and is blessed with pleasant weather all year round. Experience historic landmarks amidst the cosmopolitan chic. Venture to 16th century blackened Dodda Ganeshana Gudi (Bull Temple) dedicated to the sacred bull Nandi. Venture to the imposing Vidhana Soudha, a Neo-Dravidian building that houses the seat of state legislature. Tour Bangalore Palace, still owned and inhabited by the erstwhile royal family of Mysore. Visit Bangalore’s British colonial gardens – Lal Bagh, which includes a Victorian glasshouse replica of London’s original Crystal Palace, and Cubbon Park. Explore Tipu Sultan’s Fort and Palace, and the Government Museum, one of the oldest museums in India and home to many artifacts from the Neolithic period.